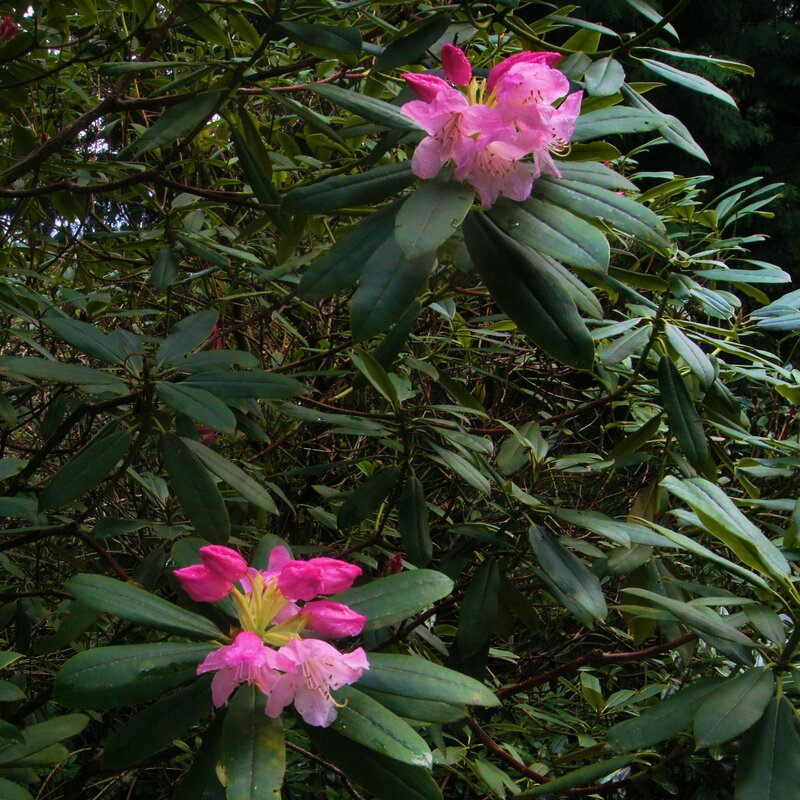 The Coastal Rhododendron (Rhododendron macrophyllum D. Don ex G. Don) is the State Flower of Washington. 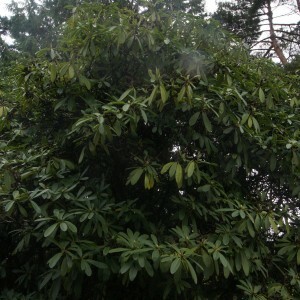 It is a broadleaf evergreen rhododendron species native to western North America. Its natural range is primarily near the Pacific coast, but its range extends to the Cascade Mountains in Oregon, Washington and British Columbia, with outlying populations in Northern California. The Coastal Rhododendron is shrub that grows to 30 feet high. Its leaves are evergreen and are retained for 2 to 3 years and are up to 9 inches long. The flowers appear in clusters at the end of the branches and are up to 2 inches long. 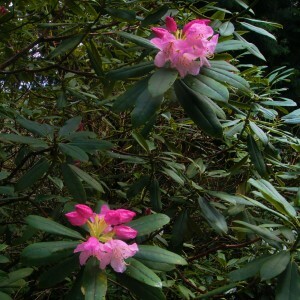 The Coastal Rhododendron thrives in disturbed habitats such as roadside embankments and recently deforested wildlands. It is a seral species, and can flourish in recently burned over areas. 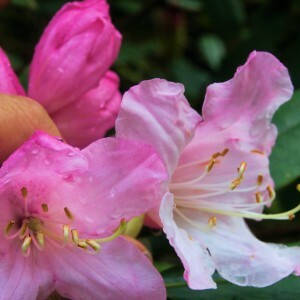 Although its blossoms are an impressive sight, it is not as popular as other rhododendron species because it is not easy to grow. 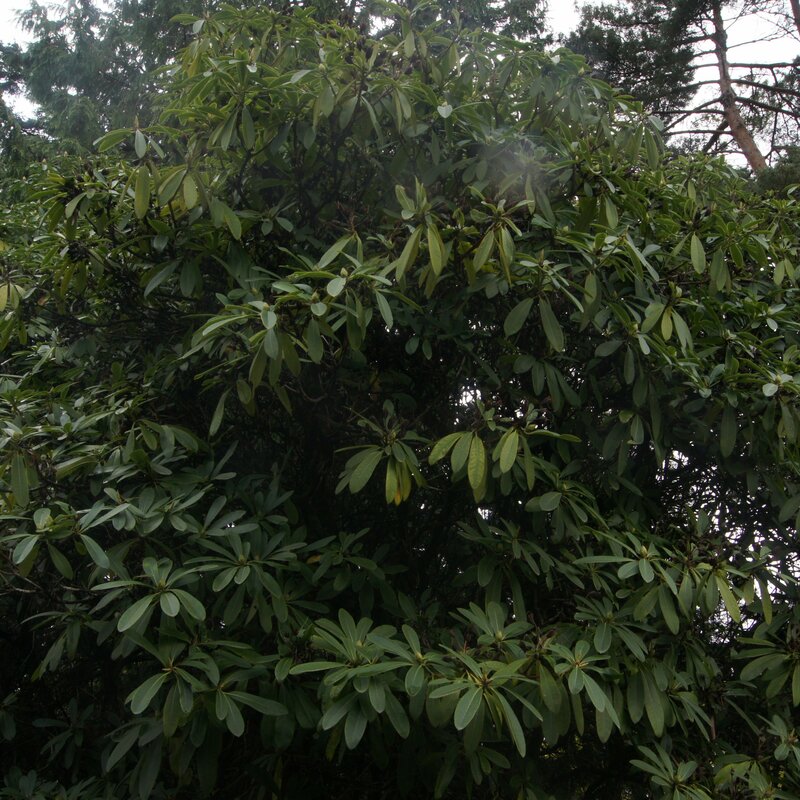 Archibald Menzies found the Coastal Rhododendron in May 1792 when he and George Vancouver made landfall near present-day Port Discovery, Washington. These photos were taken at the Bellevue Botanical Garden, Bellevue, Washington. Beautiful picture of a coastal Rhododendron I found one of my mom’s yard that was almost dead and I’ve been nursing it back to health the last year. 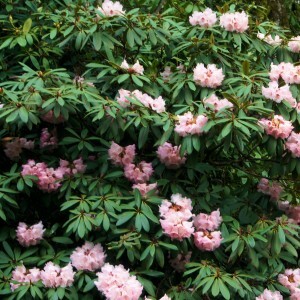 These are very hard to grow rhododendrons.